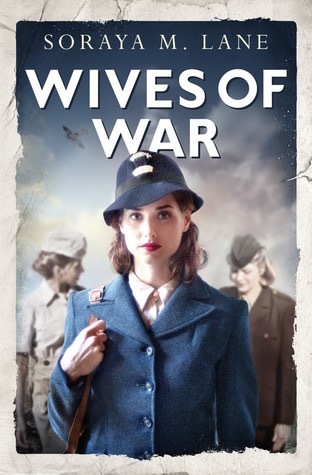 Wives of War is about three young military nurses who form a friendship during one of the most difficult periods in their lives. It’s told from all three of their perspectives and I equally enjoyed hearing from each other them. Scarlet is from a well off family and her family is not pleased when she joins the war effort. Although she wants to help as much as she can, she’s also hoping while she’s away she can find her missing fiancé. Ellie is from a more humble background, she’s a charming, fun Irish lass with a heart of gold and then there is Lucy, a smart, hardworking woman with a tough exterior. They were all inspiring, strong young women willing to take risks to do what is right. As much as the story focused on the friendship between the women it was also heavy on the romance as well. There were three separate love stories that also intertwined at times and though there were cases of instant love and intense romances, I wasn’t bothered here because I think it fit the time period. These young people were so scared and facing such an uncertain future that they clung to one another just to have some small slice of happiness in their lives. I found it to be hopelessly romantic and totally swoon worthy! All the leads changed dramatically throughout and I loved cheering them along as they grew and matured. I so wanted them all to find happiness and their relationships with each other were sweet and endearing. At it’s core, this was a beautiful story of friendship and hope steeped in tragedy, I really enjoyed it. I just reviewed this one as well. It’s nice to read another perspective! Oh awesome I’ll have to check out your review! This sounds like a “fluffier” historical fiction read, which could be a nice change of pace of the “heavier” historical fiction that I read 🙂 I also don’t tend to like insta-love, but I totally agree it would be appropriate for this era. Lovely review Amy!